My students wrote in the same center,only one was released with national merit… But the rest wasn’t all we could c was “no qualification”… Plz I need an explanation for this n next step! I have tried to check my son’s result for the 2018/2019 unity school and couldn’t found anything. Kind make this thing simple for us. 2017 portal is the one that comes up every time. Pls,do something. Pls I checked my daughter results and it was written consider for admission, only to check out her posting it has changed to not shortlisted for admission. What sort of games is this? Comment Text* pls y is 2nd interview ncee test result delayed till now pls enlightened me thks. If the system is showing “No Qualification record found for this Registration Number” what does this mean? Does it mean the child did not pass. If yes, i think the system should display the score of the child still. It implies such student is not eligible to proceed to interview. Never seen a system like ours. How is it possible that children were allowed to register online on mynecoexams.com but can’t check result online? What sort of a system should demand that I travel from Lagos all the way to Umuahia just to check my daughter’s result? Unbelievable! I have tried checking my daughter’s result but the reply is no qualification for this registration number. pls what do i do. THIS HAS TO BE THE INFORMATION AM GETTING: No Qualification record found for this Registration Number. Please, what we are seeing on the website is that “No Qualification record found for this Registration Number”. Please How do we solve this kind of problem to know what has really happened. You ca go to any NECO office closest to you. PLEASE WHAT DOES THAT MEAN,BECAUSE I TRIED O CHECK MY SON RESULT AND THESE WAS DISPLAYED. We will update this post as soon as the interview result is ready. AV TRIED all my best checking for d common entrance exam result be it very complicated so pls where is d main site to check d result.pls it very urgent. 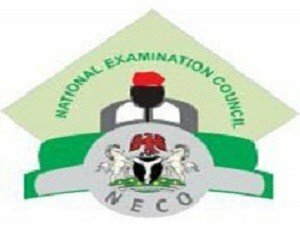 Pls how do I know my child’s performance in the neco federal common entrance examination for the different subjects taken. Pls I want to know the details of my son’s performances in the 2017/ 2018 comon entrace exams , so that I can tell how good he is . Thanks for your various info on this site. Please, how do I know my son’s score for the interview test. They just said no admission when I entered his reg number. But I will like to know his actual score. I can’t travel all the way to the school of my choice just to know the score. The school is in owerri but I live in lagos. It is not fair. The should post them online. @Martha, results were not made available online. You have to go to the school. pls my son wrote NCEE on 26th April, 2014 @ international school in port-harcout,were can I get d result? I need ur help pls. @agbede o Daniel, do you mean result or admission status. when our necoexam will came out ? @sa’ad salisu, which NECO exam? pls when the neco result is out please email me or send text to 08088.
fellow parents, pls go to your various school chosen earlier for your kid to check the result. the interview result is out. moreso, me NCEE pls put all the results on line to avoid unnecessary delay and to make the result easy for parents. GOD BLESS NIGERIA. Pls, on a need to know bases, when will the NCEE Interview test result be out? isn’t this delay uncalled for? Tried severally to call the lines on their sites but to no avail. Pls HELP! @ JTU, just hold on. The result will be accessible online sooner. Pls When is the fme interview test result coming out? @nicole, the test result will be out very soon. hey bro its me again but this time is just that I heard from an untrusted source (website) that the remaining subject that are yet to be written in the ongoing neck 2014 exam has been postponed, among the subjects postponed is mathematics to 6th July but it was actually supposed to be on this coming Monday.right? so I really need to hear from you to know the real thing! @yahaya, no official report from NECO in respect to that.